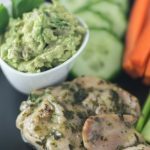 Lemon Basil Chicken | AIP recipe – So simple, AIP friendly, lemon basil chicken is tart and savory, delicious! 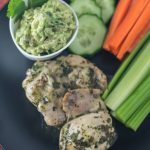 Spring is trying to emerge and with it, I crave fresh herbs, spring greens, and citrus. Oh, and meals in a rush, because longer days means more things to do! 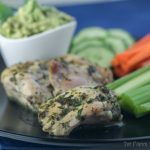 This lemon basil chicken checks all the boxes and is AIP on top of it all! How are you feeling? Are you ready for summer? Raj and I, in the 3 years The Primal Desire has been in action, have made some amazing internet friends and tribe members. You guys are the best. Really amazing. I am glad you are here with us. One of our lovely Beautycounter teammates and internet friends has a Whole Life Challenge Team, he asked us to join him in January, but the timing wasn't quite right. This time around we are committed and have joined team #FISHMANFIT. I struggle to balance everything in my life, and honestly, my health and fitness do often suffer. 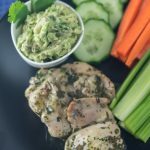 I am embarrassed to admit, me, a paleo recipe blogger, someone passionate about holistic wellness and self-love, is someone who skips meals or doesn't make it off my couch some days! I am excited to start 8 weeks with the whole life challenge to see how just a few minutes every day can help me restore some balance to my crazy life! The Whole Life Challenge starts on May 20th and there is room on our team- join us! 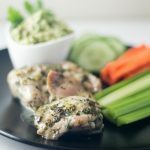 We will be posting recipes and writing a bit about our experience, but would be thrilled to have our tribe by our side! 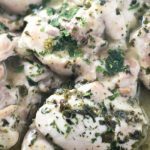 I would like to develop a few more amazing delicious and easy AIP recipes, like this Lemon Basil Chicken, come change your life with us!! 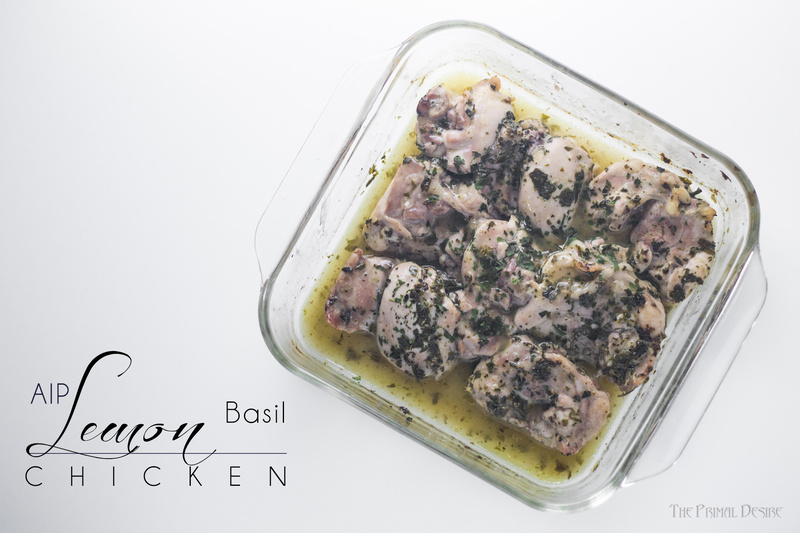 Coat chicken with lemon juice, basil, and salt. Cook to an internal temperature of 165F (this will vary depending on breast or thighs and boneless vs bone in). Pour liquid out of the pan into a saucepan and whisk in tapioca starch until it is saucy and clump free. So stoked to have the primal desire telling #FISHMANFIT!!! Yaaaaaa! That’s awesome Aimee! Love to have you on board! I don’t see you on the team yet though. Any questions? Just signed up now and ready for day 1! Hurray! SO excited to have you with us!